Before we determine if a sale is possible in your home, we must schedule a walk through. During this initial meeting, it is an opportunity for us to get to know you. This also gives you an opportunity to ask questions and get to know us and how we can help you. We will walk through your home and listen to your thoughts and questions and try to answer questions as clearly as possible. After our walk through and initial meeting, you will receive an email outlining all the things we spoke about. 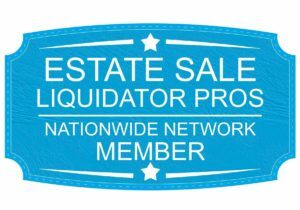 We will also include a contract for you to review and sign if you wish to move forward with the estate sale. After we receive your signed contract, we will schedule date for your sale.